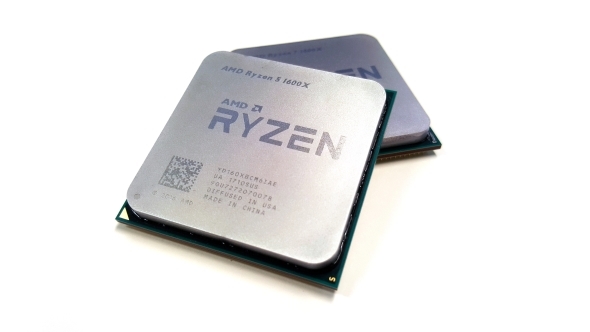 The Ryzen 5 1600X is the hexcore, 12-thread CPU attack dog AMD have sicced on Intel’s i5 range. It’s a chip aimed at disrupting Intel’s mid-range dominance with the now-classic AMD Ryzen one-two of serious multi-threading chops and a Rottweiler-aggressive price tag. It’s not all about the processor, you need balance in your PC, so make sure you get the best graphics card for your machine. The AMD Ryzen processor releases came thick and fast throughout 2017 once the initial Ryzen 7 1800X had launched. In fact I’d only just finished cooking all theeight-core Ryzen 7 chipswhen the new Ryzen 5 CPUs arrive in the post. The Ryzen 5 range is where AMD’s Zen architecture hits the high-volume, mainstream price point where many PC gamers start their new builds. 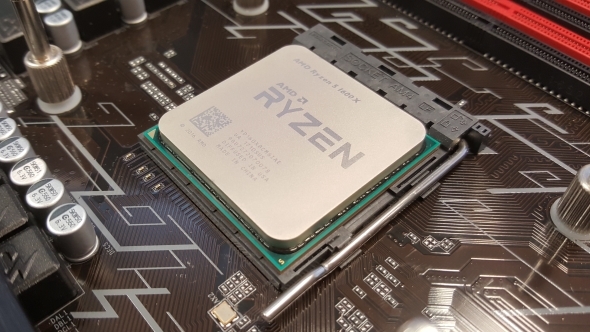 Offering three times the processor thread-count compared with Intel’s similarly priced Core i5 range, the $225(£176) six-core Ryzen 5 1600X should become the base chip for a whole new generation of gaming rigs. Click on the quick links below to jump to the relevant category. The R5 1600X is the top end of the Ryzen 5 CPU stack and is pretty much identically specced to the Ryzen 7 1800X. And that’s because essentially it is an 1800X, the AMD engineers have just partially lobotomised the chip to cut the core count down. 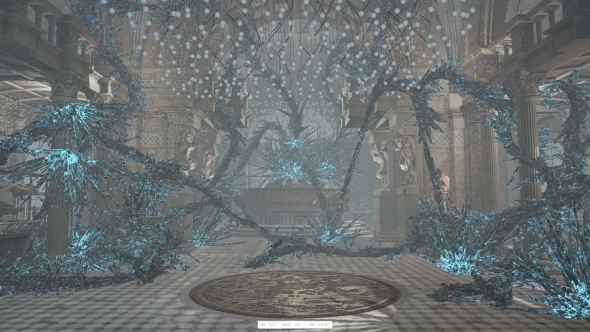 But because of the way the eight-core Ryzen chips are designed, with a pair of four-core core complexes (CCX), AMD have made sure to equally disable the cores on either side of the Infinity Fabric interconnect between them to maintain symmetry. This is where some issues have arisen, where Windows 10 has struggled to figure out the difference between a full core, a logical SMT core, and one of Ryzen’s new-fangled CCX. That all means this Ryzen 5 1600X is made up of a pair of three-core CCX and the Ryzen 5 1500X a pair of two-core CCX. This ought to mean there are no extra issues added into the design over and above any slight gaming problems people might have experienced with a confused Windows haphazardly throwing workloads at different parts of the silicon. Elsewhere though it’s the same 14nm beast. The R5 1600X comes with the same 3.6GHz base clockspeed and 4GHz turbo rating as the 1800X, as well as the same 95W TDP and 20MB total cache. So yeah, you’re really just losing a couple of cores and when you’re talking about an already high thread-count that’s not as big an issue as you might think. Because it’s an ‘X’ Ryzen chip the 1600X has got the full implementation of XFR, which means it can dynamically adjust its clockspeed over and above its standard rating by up to another 100MHz if there is enough thermal headroom available. We’ve gone into detail onthe architecture in the Zen chipsbefore if you want a quick catch up on the techie goodness. This is where the real competition starts. With a six-core, 12-thread AMD CPU which retails for around the same price as a resolutely quad-core Intel chip. Before now the Intel K-series i5 had been the go-to processor for the gaming crowd – it’s a range which has historically sported a great mix of top-end gaming performance, with a modicum of multi-threaded prowess for a good deal less than the equivalent Core i7. Now though the Ryzen 5 1600X might just be taking that crown. In CPU terms it’s only a little behind the similarly priced 6600K in the single-threaded Cinebench test, but absolutely hoses it in the multi-threading stakes. It’s practically twice as quick in the rendering test and way out ahead with the X264 HD encoding benchmark. It’s worth pointing out here that all our benchmarks were carried out on AMD’s second-tier Ryzen chipset, the B350. A new BIOS update was created for the pre-release R5 benchmarking which wasn’t available for the top-end X370 motherboard during testing. But the Gigabyte AB350-Gaming 3 motherboard we’ve used to benchmark the Ryzen 5 processors seems like a mighty board and, at$107(£87), a relatively affordable one too. With both platforms running their DDR4 memory in dual channel mode the AMD Ryzen 5 chips are out ahead of the Core i5 in memory bandwidth too. Even with the 1500X running slower (thanks to the vagaries of Ryzen memory support) it manages to post higher memory performance than the 6600K, and with the 1600X capable of matching the Intel chip’s 3,000MHz memory speed it pulls well ahead. It’s not quite so cut and dried in the gaming performance, but even though 6600K was often ahead of the R5 1600X across our gaming benchmarks it was generally only by a couple frames per second and even then slower in the minimum or 99th percentile performance stakes. The only real headache for the Ryzen 5 1600X was the Total War benchmark, but that is an isolated case. Arguably more telling was the Civilization VI GPU performance where having three times the thread count made a huge difference to the speeds from the AMD platform. It’s also interesting the extra two cores of the almost-identical Ryzen 7 1800X make almost no difference in gaming terms. The performance delta between the two processors is negligible, even with the 1800X running in a pricier X370 and the 1600X in a B350 motherboard. 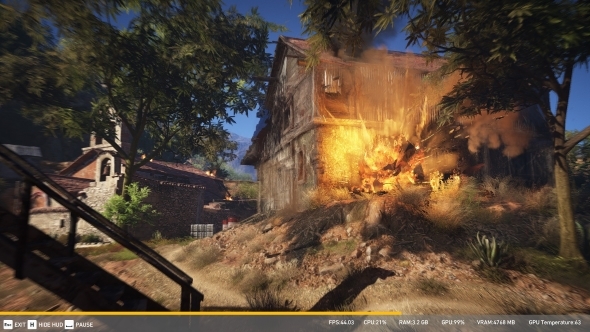 I’d advise any gamer to steer clear of the octa-cores, save themselves some cash and put their sights on the Ryzen 5 1600X instead. It’s not even like things change dramatically when you overclock the Core i5 and Ryzen 5 chips either. The 6600K can go all the way up to 4.6GHz while the 1600X couldn’t push beyond 4GHz across all six cores without having a little seizure, but while that gives the Intel chip a huge single-threaded lead in-game the 1600X still manages to keep up. 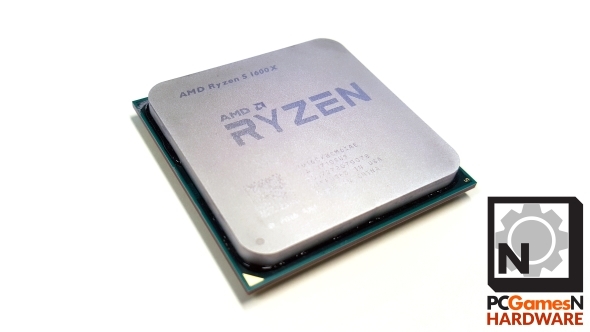 If we adjust the temperatures of the Ryzen 5 1600X in line with the 20°C offset all the 95W ‘X’ series chips suffer from it’s also an impressively chilled chip too. With a simple closed-loop water cooler on top of it the AMD CPU runs cooler than the 6600K in both stock and overclocked trim. Put simply the Ryzen 5 1600X is a far more significant processor than any of the octa-core Ryzen 7 CPUs, and for us gamers arguably the most significant chip AMD have ever made. This is where AMD have got a far more balanced competitor for Intel’s chips, most especially from a gaming point of view. The R7 1800X is heavily weighted for multi-threaded performance, but can’t deliver the gaming performance of Intel’s Core i7 7700K or the current Intel Coffee Lake lineup. But with three times the thread count of the equivalent Core i5 the six-core, 12-thread 1600X is either able to keep pace with the gaming performance of the resolutely quad-core 6600K or just plain beat it. And then still has the multi-threading chops to deliver great productivity performance too. 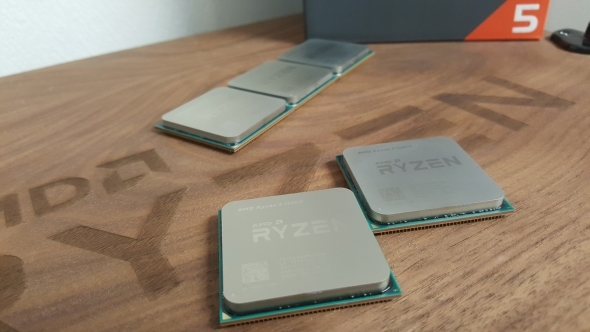 With the new Core i5 8600K and i5 8400 chips things have been levelled up a little on that score, but since neither chip is particularly widely available, at least not for anything like a price that would bare any comparison with the Ryzen 5 1600X, the AMD chip still has pride of place atop our best CPU for gaming charts. Putting the top Ryzen 5 up alongside the historical benchmarking data we got from our i5 7600K Kaby Lake sample and you can see the more modern Intel chip doesn’t offer a huge amount more. While it can overclock like a hero, the 7600K isn’t going to be able to really push that far ahead of the 1600X’s gaming skills. While you are still compromising gaming performance for multi-threaded power when it comes to choosing the Ryzen 7 chips over similarly-priced – or cheaper – Core i7 processors, in this more mainstream segment of the market that compromise pretty much vanishes. With the Ryzen 5 1600X you’re paying the same price, getting practically the same gaming speeds, but with the added bonus of significantly higher multicore performance. With its eight threads of Intel CPU performance the Core i7 7700K, and those which are to follow, might still be the best bet for top-end gaming prowess, but will always be another $100 (£100) on top of the cost of the Ryzen 5. And that makes a big difference from a price/performance point of view. A simple, purestrain quad-core processor isn’t enough anymore. What might give the R5 1600X trouble though is the cheaper non-X variant, the straight Ryzen 5 1600. It’s running at a lower clockspeed, but is essentially sporting the same overall design and still has an unlocked multiplier to make with the overclocking. You could potentially push up the clockspeeds of the 1600 to match the performance of the 1600X, though you are risking brand new silicon on a platform whose longevity has yet to be tested. 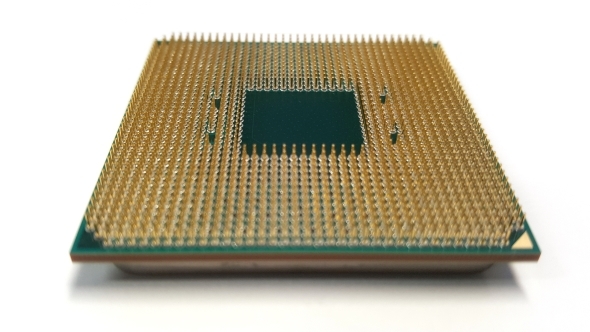 These two hexcore CPUs might even put the nail in the non-HyperThreaded quad core K-series, especially if the rumours of asix-core, 12-thread Coffee Lake CPUare true. I have to admit though I honestly did not expect this. I had no idea suddenly I wouldn’t be recommending you build yourself a K-series Core i5 gaming rig and that you should go for an AMD chip instead. I thought maybe the Ryzen 5 chips could give the Core i5 some stick, but expected Intel to still have more of an edge in games. Spending cash on a new i5 gaming PC simply doesn’t make sense anymore, because there’s a new chip for gamers in town, and it’s got an AMD badge.